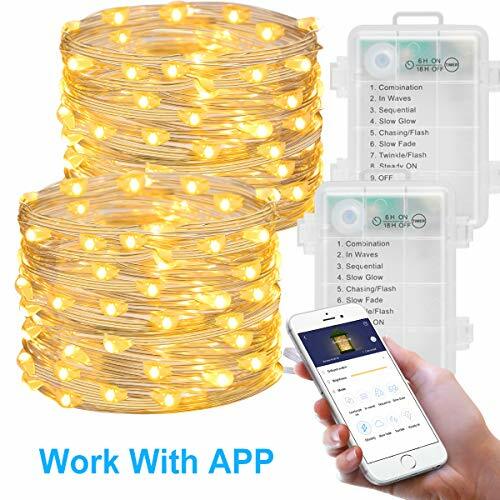 - App Remote Control: Download APP “Govee Home” ( IOS /Android), and connect the light through bluetooth, you could freely control all the light functions, including on/off, brightness adjustment, 8 light modes, and set a timer from 1 minutes to 8 hours. No worries about forgetting to turn it off. - 8 Light Modes: Light up your moment by different light effects- Combination; In wave; Sequential; Slow glow; Chasing; Slow fade;Twinkle;Steady on. - Brightness Adjustment: Drag the brightness adjustment button on the APP to achieve any degree of dimming or glowing, instead of choosing from several brightness levels.